To ask other readers questions about A Woman of No Importance, please sign up. After somewhat of a rocky start (with the author being a bit over dramatic in her word choices at times), this turned out to be an incredible and gripping read. Virginia Hall was an amazing woman that did so much for France during WWII despite all of the blatant sexism that she had to endure. I wish I had heard of her before now, because she truly is incredible. This book and this woman is riveting. A woman with a prosthetic leg who ran one of the war’s most important spy networks and was instrumental in D-day operations—and yet she’s largely unknown. The author tells the remarkable and inspiring story of Virginia Hall, who overcame physical as well as social norms to be a leading force in France during the Second World War. Born into a family of above average means (in 1906, in Baltimore Maryland), she has a strong independent streak, and a sense of greater purpose in life. She joined the foreign service, and during a posting in Turkey suffered a self-inflicted hunting accident that resulted in the loss of one of her legs (right below the kn The author tells the remarkable and inspiring story of Virginia Hall, who overcame physical as well as social norms to be a leading force in France during the Second World War. Born into a family of above average means (in 1906, in Baltimore Maryland), she has a strong independent streak, and a sense of greater purpose in life. She joined the foreign service, and during a posting in Turkey suffered a self-inflicted hunting accident that resulted in the loss of one of her legs (right below the knee). With a prosthetic leg, she re-learned to lead a normal life and return to work. When the Second World War started, she was in France, and volunteered to drive ambulances for the French army to transport wounded from the front lines back to Paris. When Paris fell, she was recruited by the newly formed British SOE (Special Operations Executive), and worked under the cover as a newspaper reporter, stationed in Vichy, and later Lyon, France, to help develop networks of resistance fighters. This was a new type of activity for SOE and many of its agents, but her force of personality helped build a network. Later in the war but before the D-Day invasion in Normandy, she returned to France, as a new member of the OSS (Office of Strategic Services) the forerunner of the CIA, in which she helped develop more resistance networks to harass the German forces, preventing them from getting to Normandy. Many of the individual actions are “hair-raising”, from narrow escapes from the Germans, to crossing the Pyrenes in November, to planning an “breakout” of prisoners from a high-security prison. And these are historical events, not fiction. The author has done an extensive job in trying to fill in the gaps of the paper records (some where destroyed by fire, others lost, or still classified). She also uncovered information that had been lost, including awards that Virginia Hall received. The author credits her work as helping to win (and shorten) the war with German. Even though she had many successes, she had to overcome male reluctance to entrust women to do field combat, let alone set up resistance networks. 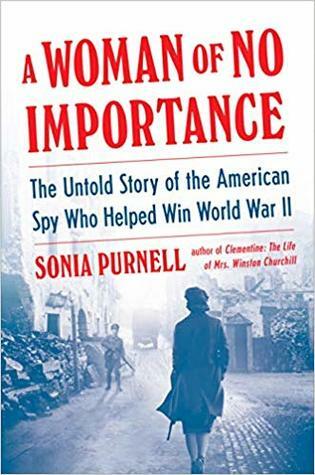 The author deserves credit for bringing to light an unsung heroine and huge contributor to the Allied War efforts, who did not demand a public praising of her work, and also did not tolerate for long the ignorance of several of the males she had to work with. An amazing book on the courage and life of Virginia Hall, who joined the British SOE during World War II. She became the first Allied woman deployed behind enemy lines. Despite her prosthetic leg, She aided the French Resistance in their war with the Nazis. Virginia Hall was the most wanted and was hunted down by the Gestapo. Despite being imprisoned and tortured, She never revealed the operations or those involved. Truly a story of a remarkable and courageous woman. The available except could have been 200 pages long and it still would have been too short - what an incredible historical moment, brought to life from an elite story teller! 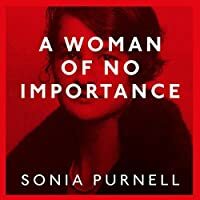 A truly BA spy ~ there are few espionage stories to rival hers; Purnell brilliantly executes the retelling in a well researched, narrative style. If you enjoyed The English Teacher by Yiftach Atir / Jason Borne by Robert Ludlum then you'll be as enthralled by this true story! Galley borrowed from the publisher. I've been waiting for this book ever since I saw that it was already scheduled to be a movie. It didn't disappoint. It's the story of Virginia Hall, an American woman who worked as a spy and helped with the French Resistance during WWII. These stories have been swept under the rug in the past as unimportant but nothing could be further from the truth in Virginia Hall's case. A perfect read for those who enjoyed The Alice Network and Lost Girls of Paris. I had never heard of Virginia Hall before reading this book. I’m now fascinated by her story. A woman who accomplished so much in the name of freedom, without looking for accolades, should be universally admired. Because of the nature of her job, and her own nature, she died relatively unknown. An excellent book, painstakingly researched. An inspiring story of a woman that defied every limit and faced oppression and discouragement even after already being extremely successful. A must read. An unsung heroine that should be recognized. So very interesting. Her courage was unbelievable. 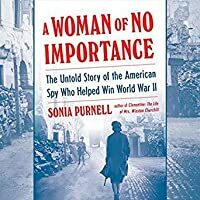 A must read for anyone who is interested in WWII, spies (especially female) and learning about overcoming obstacles in your life. Another great book about an incredible, and incredibly underestimated, woman.